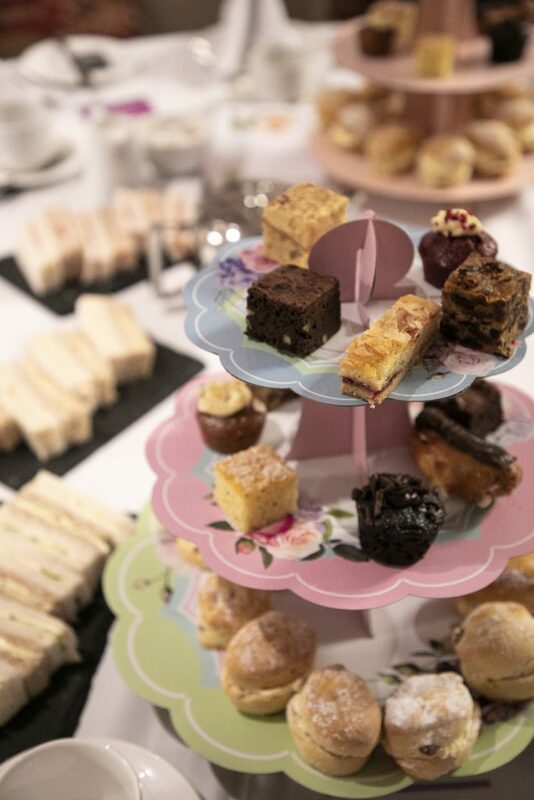 On Friday 25th May Get A-Head hosted their first Afternoon Tea to thank their Fundraisers, Donors & Volunteers who have generously given their time, money and most importantly their support, some of them for many years. Over 70 guests accepted our invitation and were treated to a traditional afternoon tea at St John’s Hotel, Solihull. The afternoon started with a drinks reception of prosecco or orange juice, generously sponsored by St John’s Hotel. Once everybody was seated we were all treated to a traditional afternoon tea, complete with fresh cream scones and plenty of tea and coffee. Louise thanked the guests for all the work they do, the running, skydiving, cake making, volunteering and many other things, without them Get A-Head would not be able to continue the work we do. Louise then introduced the afternoon speakers who would tell everybody about the good work Get A-Head spend the generous fundraising and donations on. 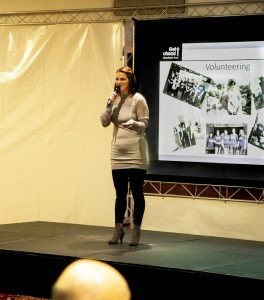 We then had a presentation from Kristien Boelaert, one of the Get A-Head Trustees. 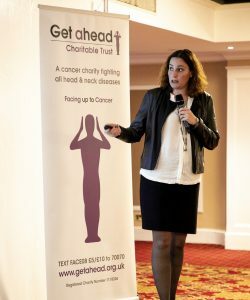 Kristien told the guests that Get A-Head had spent over £1.5 million over the past seven years on funding for Research, Education and Equipment. She talked about the many pieces of equipment and training course we have funded, together with information on some of the research projects we have funded over the years. 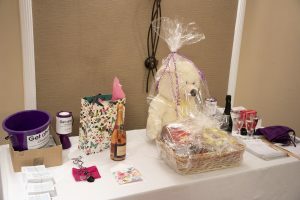 During a short break we sold raffle tickets to win some lovely prizes donated by both Get A-Head and some of the lovely supporters. Once again our guests showed their immense generosity and we raised £272, despite this not being a fundraising event !! Our final guest speak was Prof. Chris McCabe, from the University of Birmingham. 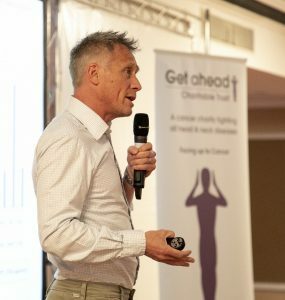 Chris explained to the guest the close links between Get A-Head & his team at the University. Get A-Head have funded many research projects into thyroid cancers and have the supported the education of many students, who have gone on to become Consultant Head & Neck and Thyroid or ENT Surgeons over the years, including our newest Trustee Mr Neil Sharma, who is currently completing a fellowship in New Zealand and returns to the Queen Elizabeth Hospital later this year. Many thanks again to all our supporters, volunteers, fundraisers, donors for everything you do for us. With your continued support we will be able to continue our work for many years to come.